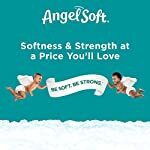 Angel Soft toilet paper provides the softness you want with the strength you need. Our bulk pack of 12 double rolls boasts 264 sheets per roll which is equivalent to 24 regular (121-Sheet) rolls for greater value and convenience. 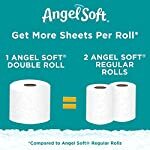 Angel Soft Double offers 60% more bathroom tissue sheets per roll than leading 2-ply brands, making it a smart and budget friendly choice for your family with fewer toilet paper changes. Manufactured from pulp fiber with no additives, Angel Soft is a smart choice for every member of your family. 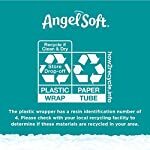 Sustainable Forestry Initiative (SFI) certified, Angel Soft bathroom tissue is made with sustainably sourced trees. 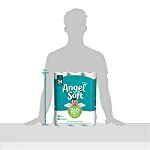 Septic-safe Angel Soft toilet paper is easy to flush and appropriate for use with any plumbing. This soft and absorbent toilet paper is not overly bulky and won’t clog your pipes. 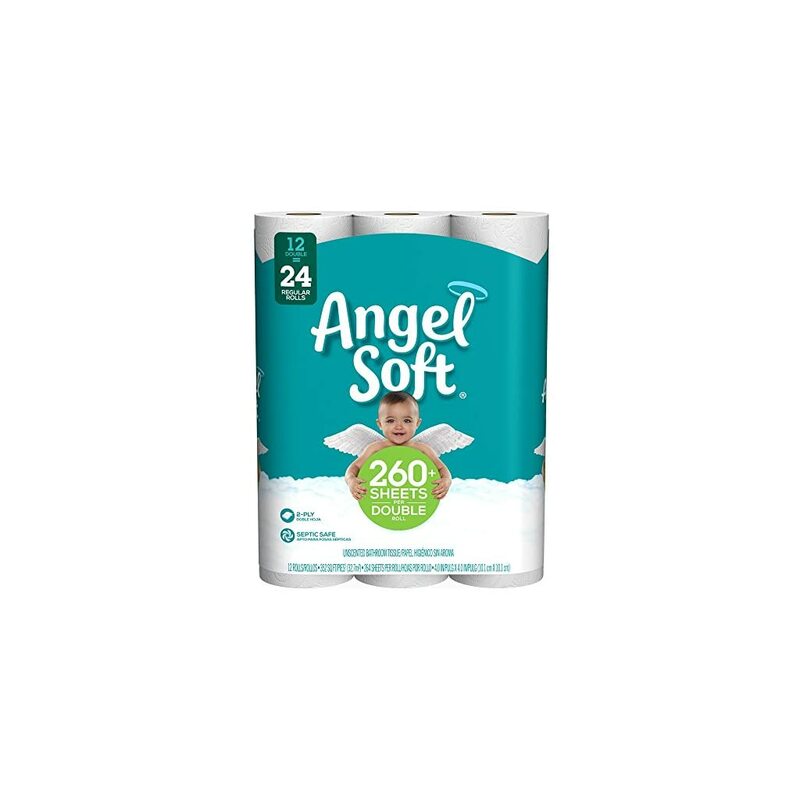 This is a bulk pack of 12 Angel Soft 2-Ply double toilet paper rolls, equivalent to 24 regular rolls. 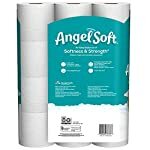 For less frequent roll changes try Angel Soft Mega rolls. Fill your Prime Pantry box with this pack of 12 double rolls. 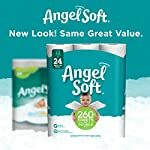 Angel Soft toilet paper provides the softness you want with the strength you need. 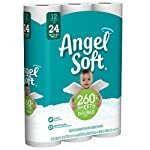 Our bulk pack of 12 double rolls boasts 264 sheets per roll which is equivalent to 24 regular (121-Sheet) rolls for greater value and convenience. 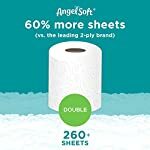 Angel Soft Double offers 60% more bathroom tissue sheets per roll than leading 2-ply brands, making it a smart and budget friendly choice for your family with fewer toilet paper changes. 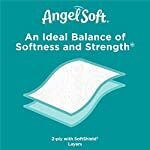 Manufactured from pulp fiber with no additives, Angel Soft is a smart choice for every member of your family. 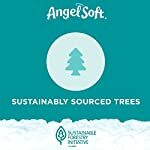 Sustainable Forestry Initiative (SFI) certified, Angel Soft bathroom tissue is made with sustainably sourced trees. 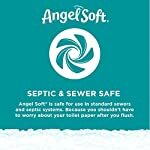 Septic-safe Angel Soft toilet paper is easy to flush and appropriate for use with any plumbing. This soft and absorbent toilet paper is not overly bulky and won’t clog your pipes. 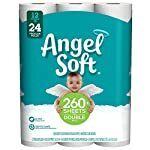 This is a bulk pack of 12 Angel Soft 2-Ply double toilet paper rolls, equivalent to 24 regular rolls. 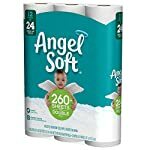 For less frequent roll changes try Angel Soft Mega rolls. Fill your Prime Pantry box with this pack of 12 double rolls.